I can’t get enough of “portal” augmented reality experiences. It’s that dream of stepping into your wardrobe and walking into C.S. Lewis’ Narnia almost realized. There’s a portal template that’s part of the iOS augmented reality developer kit so it means a lot of developers are experimenting with the format, though I’ve yet to come across any of these portals that were anything more than just a novelty. One of the bigger issues with the concept is the amount of real life space needed while playing. In the IKEA experience example I linked above I wanted to walk to the end of the digital warehouse. In order to walk to the end of the fake building I would have had to walk and stand in my actual street. That seems like a bad idea for that’s where speeding cars live. Last night I played around with the dARk app that had a very House of Leaves vibe and once again space became an issue. 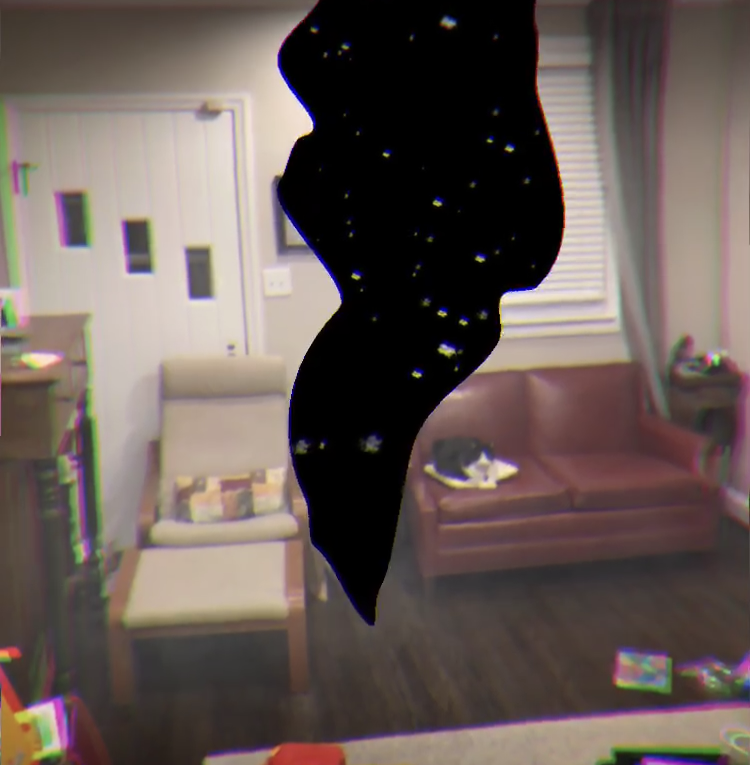 The app wanted me to walk around its dark world, but not only did I have to dodge the usual Hot Wheels strewn about my living room, I could only go as far as my kitchen a few feet away. It has been non-stop raining here so stepping outside wasn’t possible. Mostly, for a while anyway, we’re going to see experiences like The Arcade, which is essentially a Stranger Things tribute with a lot of atmosphere and very little interactivity. Finally, the rain cleared for a few minutes today so I got out on my lunch break and tried Alice AR Quest, an Alice in Wonderland themed game. It seems to have a little more substance with a bunch of mini games within the digital world, but it tries hard to up-sell you into a premium version of the app, something I wasn’t really willing to do. Notably, it’s the only one of these experiences that has you hold your phone in a landscape position, which makes for far friendlier video capturing. Even with these fairly middling experiences, I have yet to get tired of walking through augmented reality portals. I still get giddy in that moment after I’ve walked into the digital world and turn around to see my real world peeking through the doorway. “I’ve crossed into a scary digital world but, hey look! I can see my couch through there!” That mash-up of real versus imaginary gets me every time. I’ve fallen in love with a dead game.